Did you know this week is International Dark Sky Week? Perfect timing for this midwestern author to join us and talk about her latest fiction book set in Mackinaw City, at Headlands International Dark Sky Park. 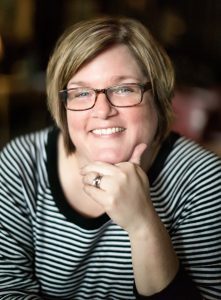 Award winning author, Lori Rader-Day, will talk about her writing process, what draws her to crime novels, and why she loves public libraries. Learn more about this author through her website. This is an event not to be missed!